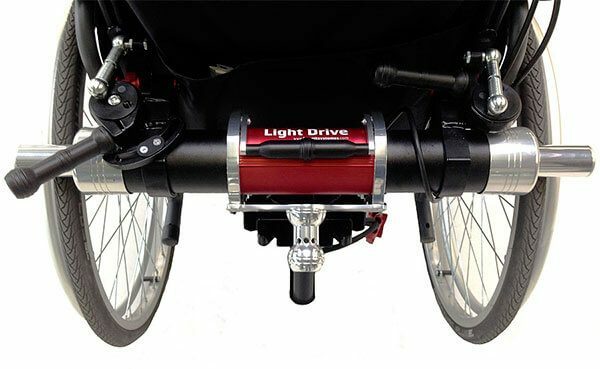 The Light Drive is a power add-on device that turns your manual wheelchair into an ultra-light, high performance electric wheelchair in 20 seconds! 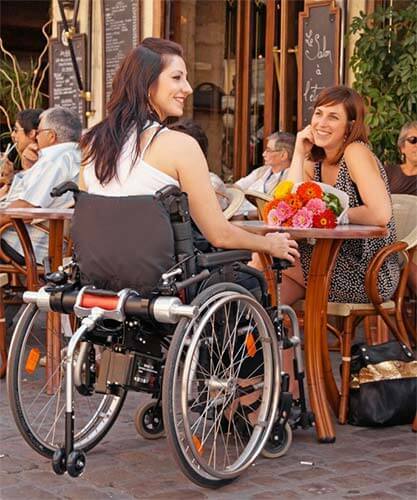 The motor attachment simply hooks onto the rear of most rigid or folding manual wheelchairs. 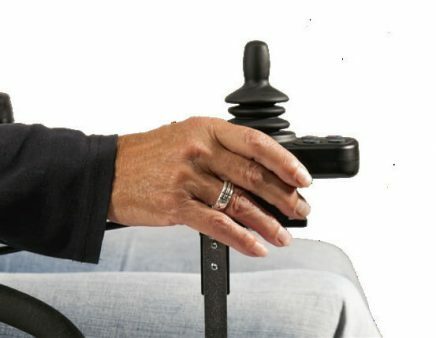 The device is controlled by a joystick while maintaining the chair’s manoeuvrability. 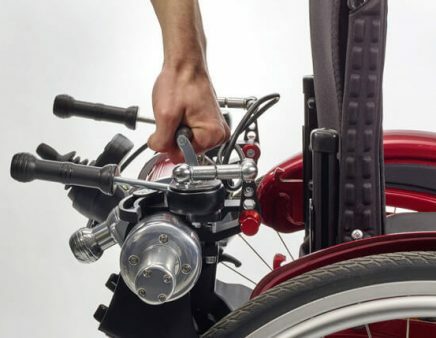 By releasing a clutch, you can choose when to switch between assisted power or manual use. 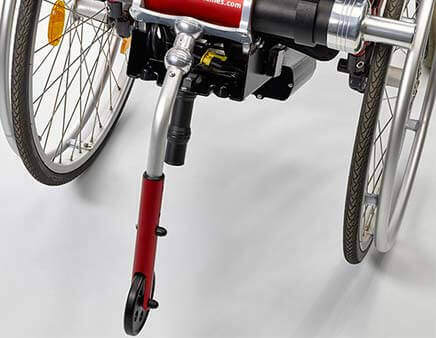 Safety is an important factor with a downhill braking feature in place that automatically controls your decent. 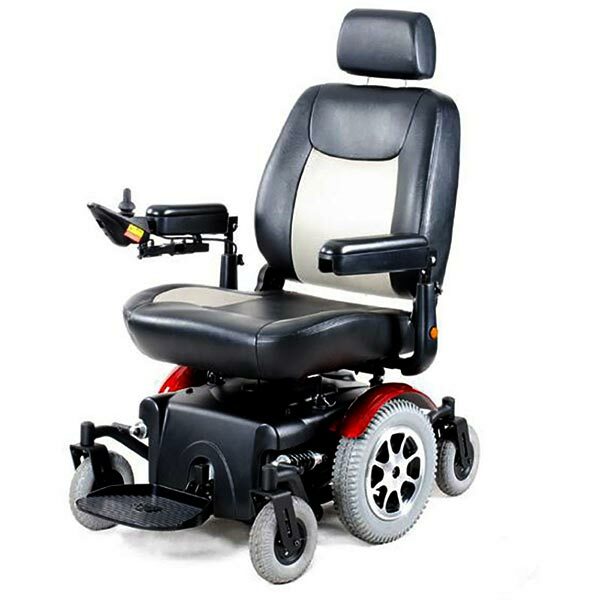 Will This Fit My Wheelchair? 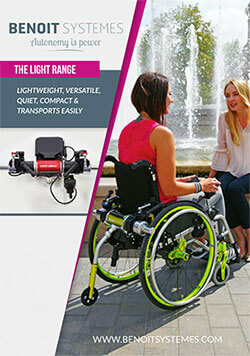 The features of The Light Drive! 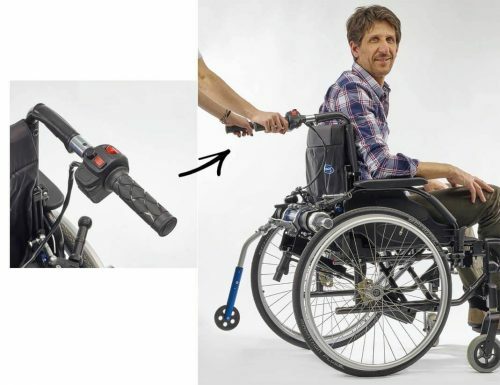 Turn your manual wheelchair into an ultra light power chair in 20 seconds! The Light Drive powers the existing (self-propelled) wheels on your wheelchair and does not alter the dynamics. Now with your added power, you’ll be able to face almost all terrains. 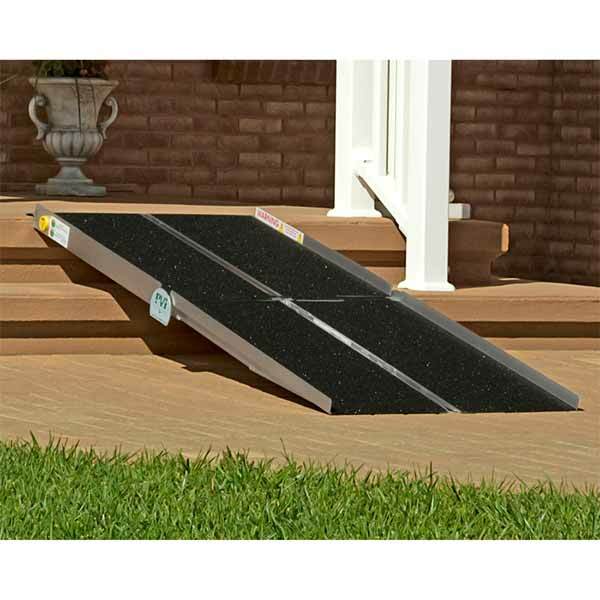 It’s simplicity to attach and operate means your journeys become much easier to complete. 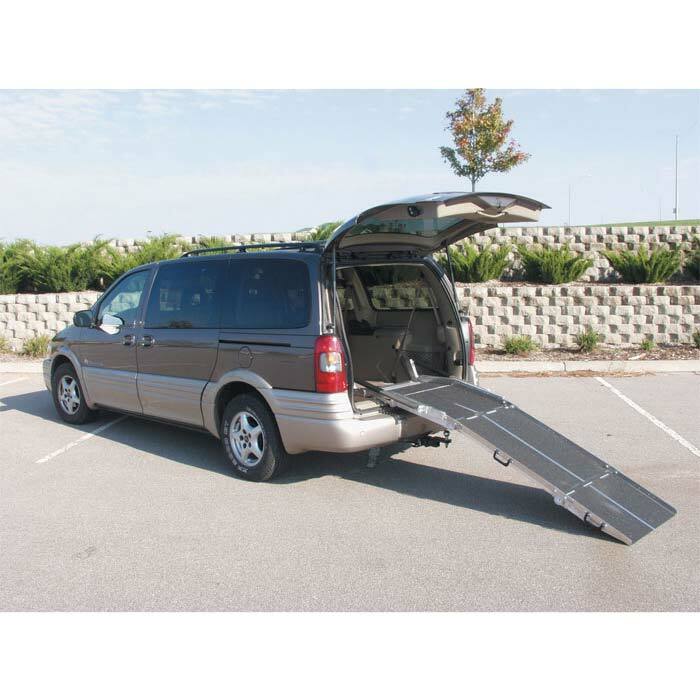 Transporting your wheelchair with Light Drive is effortless when traveling by vehicle. 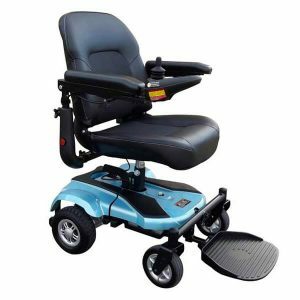 All parts to the Light Drive detach from your manual wheelchair which is a huge advantage over any fixed power electric wheelchair on the market. 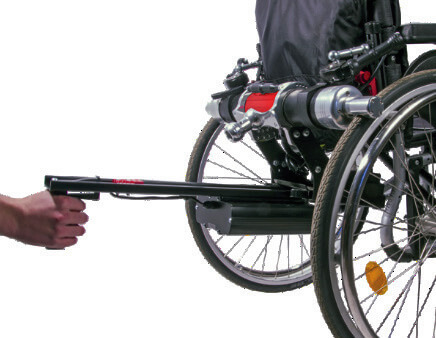 Attaching the unit to your rigid or folding manual wheelchair takes 20 seconds! 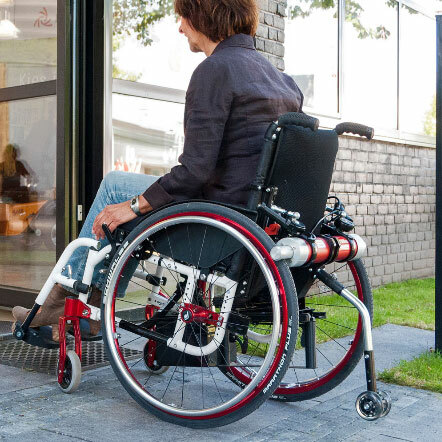 Using two pre-installed plates (on the rear of the wheelchair), attach the Light Drive unit by hooking onto these then fasten by pulling the two locking handles outward. 1. 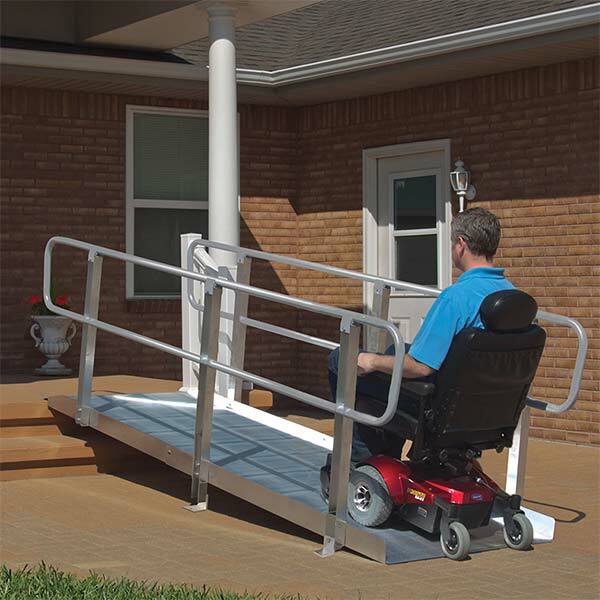 Place the power add-on onto the hooks at the rear of your wheelchair. 2. Slide the battery rack on the support, the connection is automatic. 3. 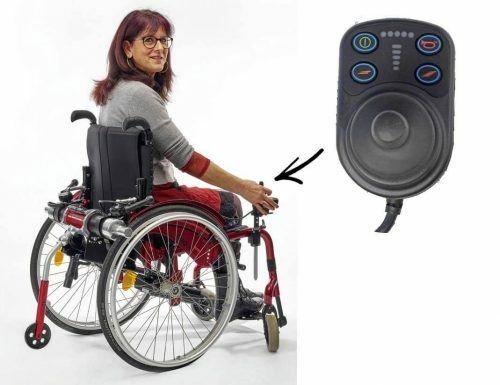 Attach the controller to the supplied bracket on your wheelchair. 4. Attach the anti-tip wheel. 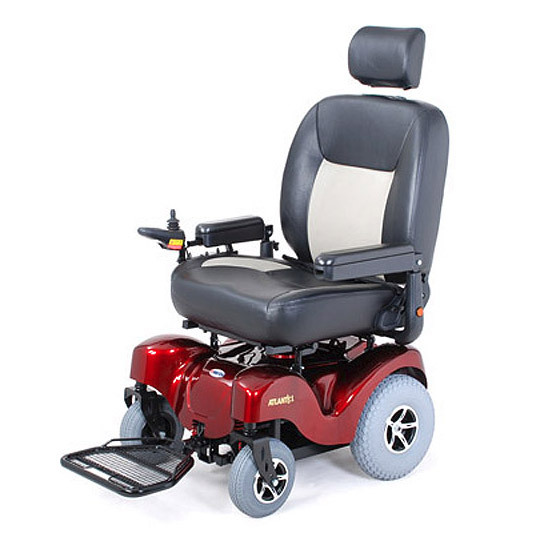 The Light Drive is controlled with a joystick and yet remains as manoeuvrable and as easy to use as a manual chair. By releasing the clutch you can free wheel giving you the freedom to choose when to use it. 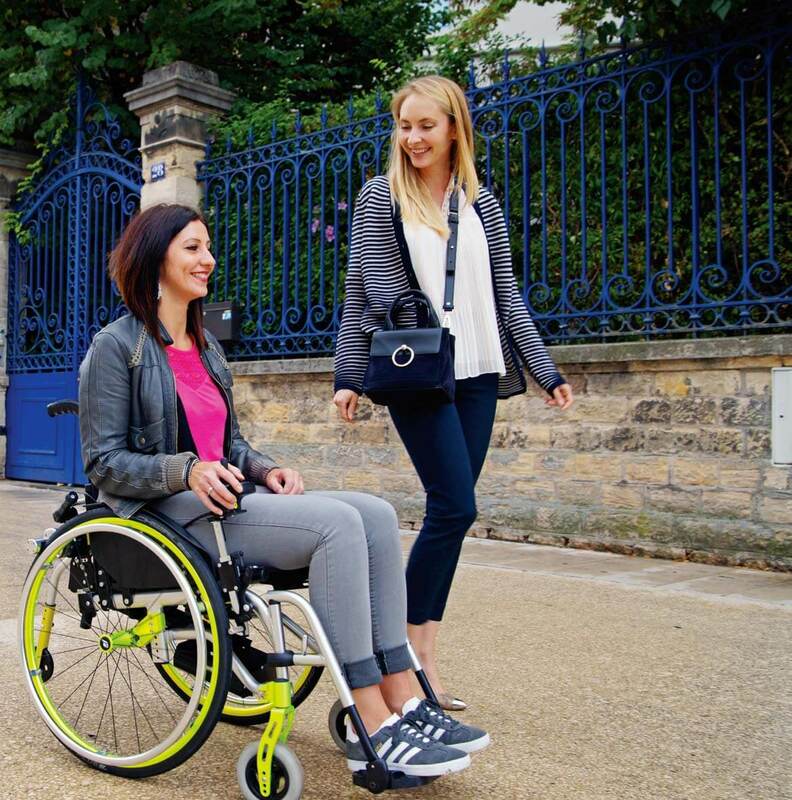 The Light Drive gives you the independence to go where you want at your own pace – climb hills with no effort, coast across grass, sweep along gravel paths and uneven pavers – in short, most things pedestrians can do. 8 colours to choose from! 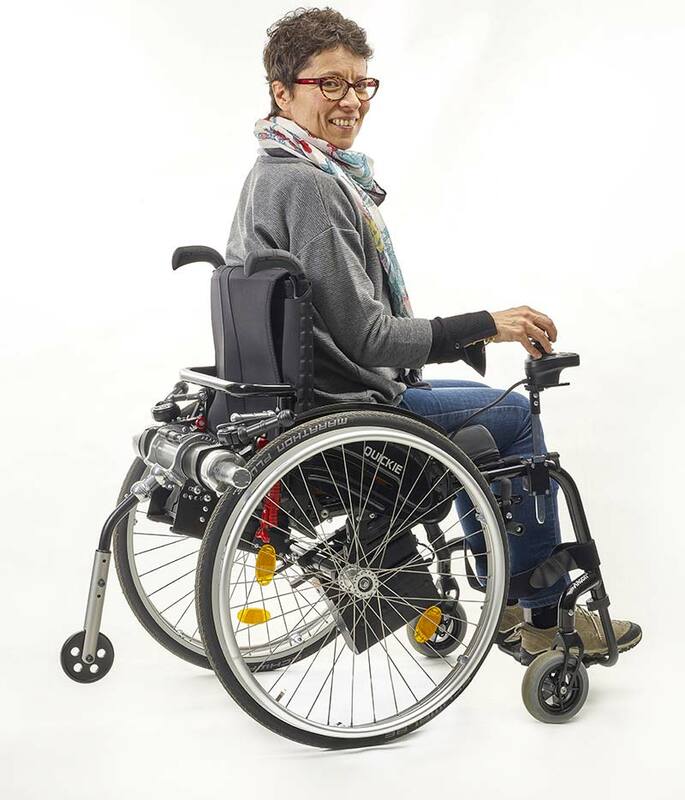 With the added power to your wheelchair, you’re likely to travel further distances facing many differing terrains. 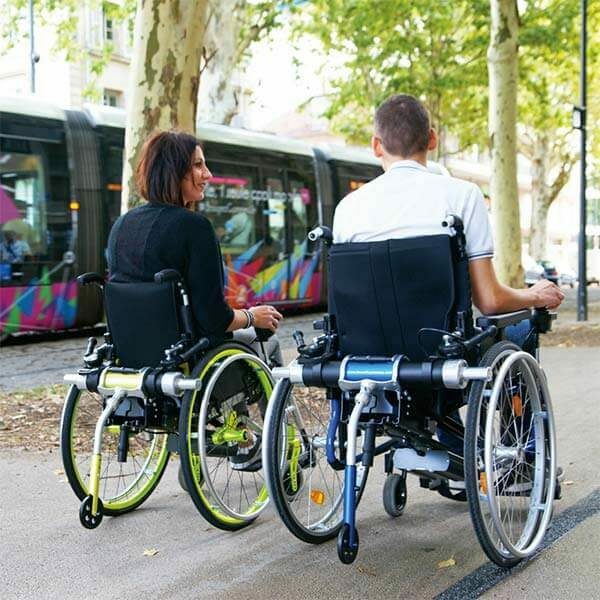 If your wheelchair is not equipped with suitable tyres to handle these conditions, your tyres are likely to deteriorate quite quickly. 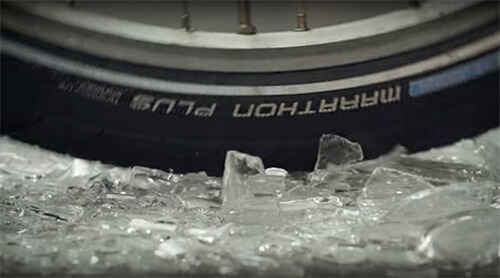 With optimum performance and puncture resistance in mind, our choice of tyre is the Schwalbe Marathon Plus. Yes you can. 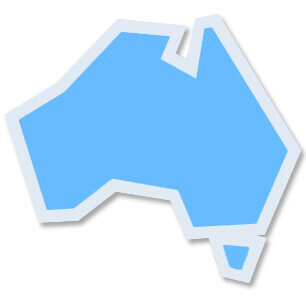 Usually your Occupational Therapist will apply for this for you through NDIS or the state agency. 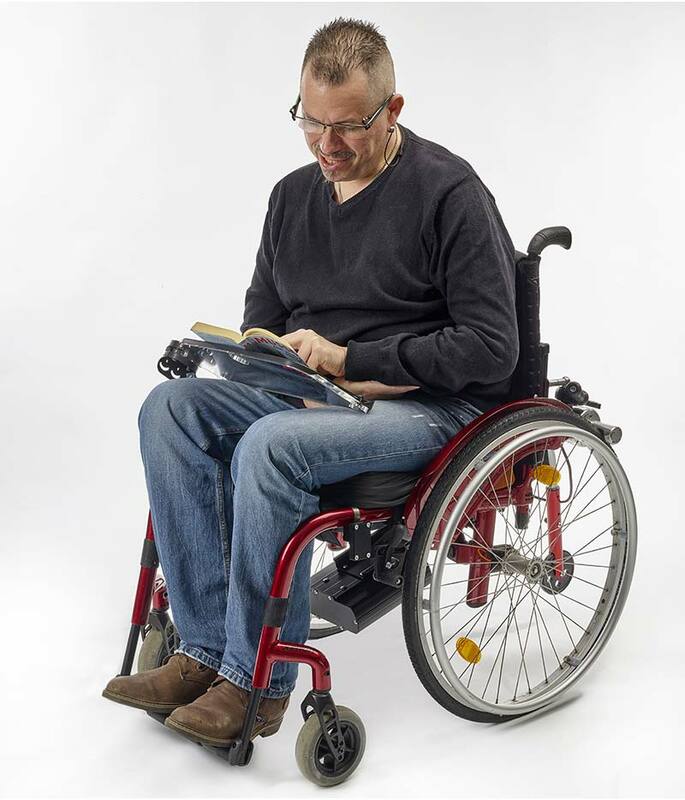 Adaptable wheelchairs Installation possible on virtually all chairs from 25 cm seat width (9.8 inches). Climb 20% (12°) for a person weighing 70kg (11 stone). 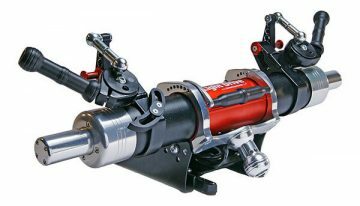 Speed Adjustable between 0-10 km/h (0-6mph). 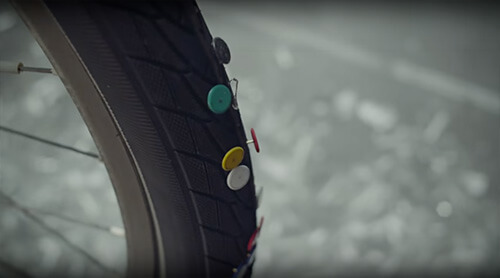 Tyres We recommend Marathon Plus from Schwalbe as they offer excellent traction with our system and have a very thick layer of puncture resistant material. Solid tyres are not compatible. Terrain All terrain Most terrains excluding some rough. Colour 8 Attractive colours One colour, dark grey. Technology Robust, Stable Constantly developing in recent past. Getting about became natural! LIGHT DRIVE has let me regain my freedom and independence … it really does go anywhere, nothing stops it: stony paths, grass, even steep ascents and descents, and it’s effortless! It even manages the pavements in town: first class! 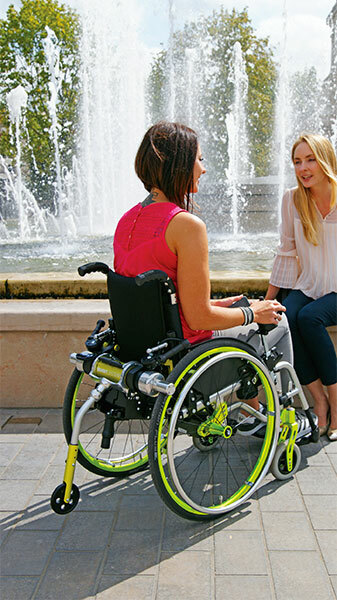 What a comfort it is to go for a stroll without having to struggle with one’s wheels, to be able to chat with one’s friends in peace, … getting about becomes natural! I am more self-sufficient. 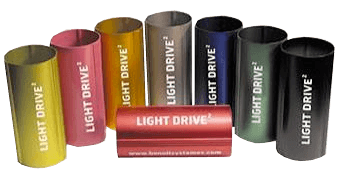 My Light Drive helps me, all year round, to go shopping with my wife, to stroll through shopping centres and, on fine days, to wander around jumble sales, car boot sales and markets. Since I’ve had my Light Drive, I’m more self-sufficient. I no longer have to have somebody with me all the time. 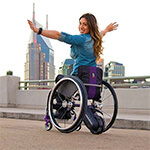 The Light Drive can be fitted onto any self-propel wheelchair except those with suspension or those with wheels smaller than 20 inches. If you’re unsure whether the Light Drive is suitable to fit your manual wheelchair, feel free to contact us. 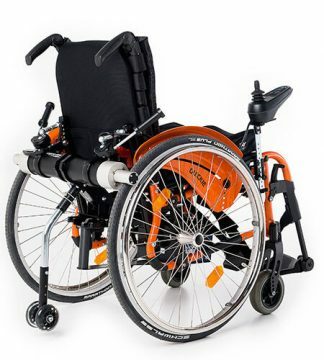 Call (03) 9568 8383Will this fit my wheelchair?